While not the traditional Universal Roman Catholic Calendar, the Feast of St. Margaret of Cortona is celebrated on February 26th in the pre-1955 Traditional Catholic Missal as a "Mass in Some Places" (pro aliquibus locis). 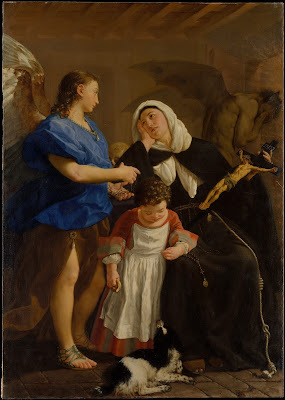 St. Margaret of Cortona was born in Tuscany in 1247 AD. Her mother died at a young age and she was raised by her step-mother who had little regard for her. As a result, Margaret escaped at a young age and married a man from Montepulciano who still young. She bore him a son. After nine years, her lover was brutally and shockingly murdered. As a result, Margaret returned to her father's house as a penitent. Yet her father refused to accept her and her son. So she turned to the Friars Minor at Cortona where she received asylum. Young Margaret had great difficult in progressing in virtue and overcoming the pernicious sins of the flesh. She asked pardon for her past scandals and sought repentance; sometimes she was so severe that the Friars had to retrain her penance. Margaret for a time earned a living by nursing the sick but eventually she gave up the profession and began to care for the poor without cost and living only on lams. She joined the Third Order of St. Francis, and her son also joined the Franciscans a few years later. St. Margaret advanced rapidly in prayer and was said to be in direct contact with Jesus, as exemplified by frequent ecstasies. Friar Giunta recorded some of the messages she received from God. In 1286, Margaret was granted a charter allowing her to work for the sick poor on a permanent basis. Others joined with personal help, and some with financial assistance. Soon thereafter, Margaret formed her group into tertiaries, and later they were given special status as a congregation which was called The Poverelle ("Poor Ones"). She also founded a hospital at Cortona and the Confraternity of Our Lady of Mercy. Some in Cortona turned on Margaret, even accusing her of illicit relations with Friar Giunta. All the while, Margaret continued to preach against vice and many, through her, returned to the Sacraments. She showed extraordinary love for the mysteries of the Eucharist and the Passion of Jesus Christ. Divinely warned of the day and hour of her death, she died on February 22, 1297, having spent twenty-nine years performing acts of penance. She was canonized in 1728. Her body is incorruptible. There is not a great deal known about Saint Matthias. We do know that he was with Jesus, the Apostles and disciples, since Jesus’ baptism by St. John the Baptist. The other Apostles must have known Matthias well during the three years of Jesus’ ministry. Matthias does not speak in the Scriptures so we never hear his thoughts or feelings. We do not know if he was joyous or fearful about becoming an Apostle. We can surmise that he was a brave man to stay with the Apostles when there was so much uncertainty about the future of the Catholic Church. Matthias would have received the gifts of the Holy Spirit, strengthening him to go out on his missionary work. The picture we get from the Fathers of the Church is that of a courageous missionary – either in Jerusalem or in Cappadocia and on the coasts of the Caspian Sea - who may have been martyred. The only personal information we glean is that Matthias spoke strongly against licentious pleasures so that the soul might grow by faith and knowledge. In this he was the perfect counterbalance against the man he replaced – Judas. Judas betrayed Jesus because he allowed his desires to overrule the faith growing in his soul. 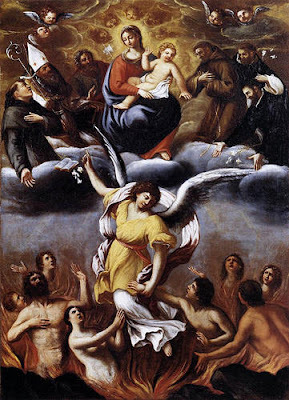 "To us sinners, also, your servants, who hope in your many mercies, deign to grant some share and fellowship with your holy Apostles and Martyrs: John, Stephen, Matthias, Barnabas, Ignatius, Alexander, Marcellinus, Peter, Felicity, Perpetua, Agatha, Lucy, Agnes, Cecilia, Anastasia, and all your Saints." As we embrace the spirit of Lent and reflect upon the Passion of our Lord, I can not help but feel drawn to visit local Catholic cemeteries and pray for the souls of the dead. For that reason, I'm asking you to join me. Take the Pledge to visit a local Catholic cemetery near you this holy season and pray for the repose of the souls of the deceased. By the Passion of Christ we are freed from the liability to be punished for sin with the punishment that sin calls for, in two ways, directly and indirectly. We are freed directly inasmuch as the Passion of Christ made sufficient and more than sufficient satisfaction for the sins of the whole human race. Now once sufficient satisfaction has been made, the liability to the punishment mentioned is destroyed. We are freed indirectly inasmuch as the Passion of Christ causes the sin to be remitted, and it is from the sin that the liability to the punishment mentioned derives. Souls in hell, however, are not freed by the Passion of Christ, because the Passion of Christ shares its effect with those to whom it is applied by faith and by charity and by the sacraments of faith. Therefore the souls in hell, who are not linked up with the Passion of Christ in the way just mentioned, cannot receive its effects. Now although we are freed from liability to the precise penalty that sin deserves, there is, nevertheless, enjoined on the repentant sinner a penalty or penance of satisfaction. For in order that the effect of the Passion of Christ be fully worked out in us, it is necessary for us to be made of like form with Christ. Now we are made of like form with Christ in baptism by the sacrament, as is said by St. Paul, We are buried together with him by baptism into death (Rom. vi. 4). Whence it is that no penalty of satisfaction is imposed on those who are baptised. Through the satisfaction made by Christ they are wholly set free. But since Christ died once for our sins (i Pet. iii. 18), once only, man cannot a second time be made of like form with the death of Christ through the sacrament of baptism. Therefore those who, after baptism, sin again, must be made like to Christ in his suffering, through some kind of penalty or suffering which they endure in their own persons. If death, which is a penalty due to sin, continues to subsist, the reason is this : The satisfaction made by Christ produces its effect in us in so far as we are made of one body with him, in the way limbs are one body with the head. Now it is necessary that the limbs be made to conform to the head. 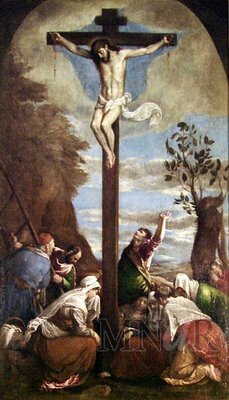 Wherefore since Christ at first had, together with the grace in his soul, a liability to suffer in his body, and came to His glorious immortality through the Passion, so also should it be with us, who are his limbs. By the Passion we are indeed delivered from any punishment as a thing fixed on us, but we are delivered in such a way that it is in the soul we first receive the spirit of the adoption of sons, by which we are put on the list for the inheritance of eternal glory, while we still retain a body that can suffer and die. It is only afterwards, when we have been fashioned to the likeness of Christ in his sufferings and death, that we are brought into the glory of immortality. 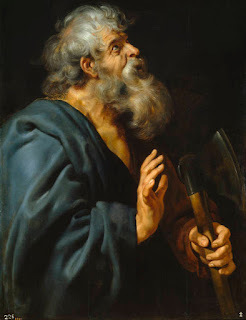 St. Paul teaches this when he says, If sons, heirs also ; heirs indeed of God, and joint heirs with Christ : jet so, if ire suffer n ith him, that n>e may be also glorified with him (Rom. viii. 17). 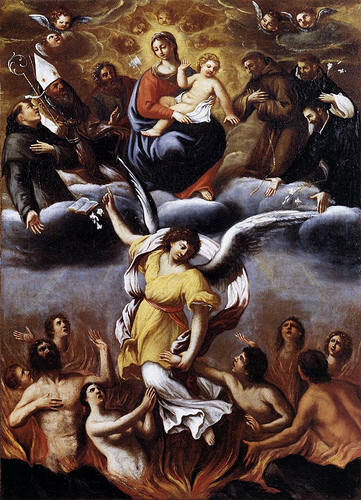 As we know by Faith, the souls of the suffering in Purgatory can benefit from the prayers and sacrifices of the souls on Earth who pray and make reparation while in the state of grace. During this Lent, what have you done for the souls of our brothers and sisters in purgatory who suffer because of their sins? They can not pray for themselves but you can free them from their sorrows by making reparation for their sins! Note: Those unfamiliar with this dogma should see my post on purgatory. Join me this week by visiting a cemetery near you and praying the Rosary while walking through the cemetery and looking at each and every name on the stones. Or, join me in praying the Office of the Dead at the entrance to a cemetery and then reciting prayers while walking through the cemetery. Please also see my post which details the many Catholic Devotions for the Dead. Please make your pledge in the comments box anonymously. In a modern society that is centered around technology, new methods for spreading the Catholic Faith and evangelizing souls are emerging. These new trends allow the Church to spread the same timeless Faith but in a way that is engaging, interactive and accessible to those who find it difficult to attend in-person religious education classes. 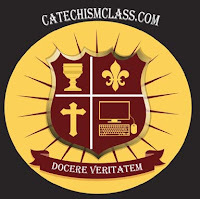 Founded in 2004, CatechismClass.com has been at the forefront of making the best online religious education courses available to Catholics for over a decade. As the world changes, the Church is able to use new resources to spread the same, changeless Catholic Faith. CatechismClass.com is now pleased to announce the launch of es.catechismclass.com, its Spanish language equivalent. The trend in online education is quickly growing and our programs have already led to conversions and more Catholics receiving the Sacraments. With our RCIA program, parishes are using it for their members who lead busy travel schedules for work or who suffer from a disability that makes weekly classroom time difficult. Our children's courses have helped dozens of families teach their children the Faith without having to go to in-person classes. Families can also supplement classes that are not at their child’s pace, allowing higher achieving students to have more engaging learning online. And our godparent preparation courses have made it possible fro all godparents to attend the same virtual course, despite distances often separating family members. And now all of our these resources are available in both English and Spanish. A few months ago I was contacted by the Institute for Science and Catholicism and asked to review the work by Mr. McFadden: Creation, Evolution, and Catholicism: A Discussion For Those Who Believe. The book itself is printed in an easy to use spiral-bound style. 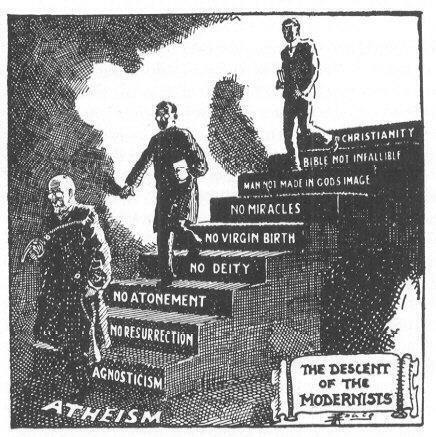 What must a Catholic believe concerning evolution? Did Pope Pius XII actually permit belief in evolution? Does modern science - especially the developments in human genetics and DNA - reconcile with the conjectures of Charles Darwin? Our children are leaving the Faith in droves and many of them are falling away because they believe that the Church is a composition of fairy tales without any basis in reality. They are taught one thing by their priests and a vastly different opinion by so called "experts", scientists, and mass media programs. Do you know how to answer your children's questions on evolution? Do you know how to respond to evolution from a truly scientific and a truly theological perspective? That's why this book, Creation, Evolution, and Catholicism: A Discussion For Those Who Believe, is all the most necessary and timely. The book itself is a true labor of love and full of true, scientific research. The author quotes extensively from scientific research journals, publications, and a vast amount of materials to present the overt discrepancies and inconsistencies from a scientific perspective with the theory of evolution. After establishing this, only then does the author begin examining the documents of Pope Pius XII and relevant documents on our Holy Faith in the context of evolution. This resource should be widely made available to all Catholic schools. I pray this work be more fully available to all who are in a position of teaching authority in any respect - from Sunday school teachers, to pastors, to Directors of Religious Education, to science professors, and the like. This is truly a composition of much research and it deserves to be widely made available so that more souls will be saved from falling away from the Church and into the atheistic materialism of the world. The website Unam Sanctam Catholicam has posted a review online that is available for viewing by clicking here. Throughout the world in the SSPX's seminaries, a total of 45 seminarians have taken the cassock, or clerical habit, during the 2015-2016 academic year. We offer some news and images of this important event, a formative step towards the ultimate goal of the sacred priesthood. 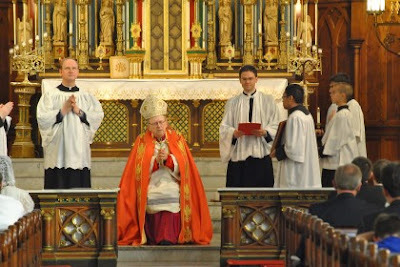 On February 2, Bishop Bernard Fellay (the SSPX's Superior General), blessed the cassocks for 10 seminarians and gave the clercical tonsure to 8 other young men during the Pontifical Mass of Candlemas. He was assisted by Fr. Yves le Roux (seminary rector), Fr. 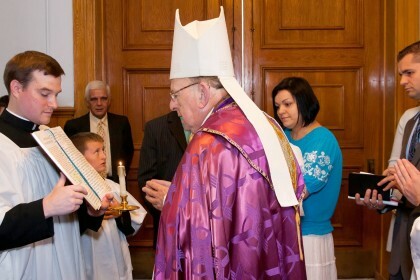 Jurgen Wegner (U.S. District Superior), and Fr. Patrick Abbet (seminary vice rector). On February 2, in the absence of Bishop Alfonso de Galarreta—whose attendance was prevented by a last minute difficulty—Fr. Niklaus Pfluger, the SSPX's 1st Assistant, blessed the clerical habit for 12 seminarians of the first-year: 4 Swiss, 3 Frenchmen, 2 Italians, 1 Gabonese and 2 Nigerians. He was assisted by Fr. Patrick Troadec (seminary rector) and Fr. Prudent Balou Yalu (prior of the St. Pius X Mission in Libreville, Gabon). Interesting statistics have been published by Fr. Troadec. Since 1996, 347 candidates have entered the seminary to become priests or brothers; i.e., an average of 20 per year. The average age is 21-years old. Candidates consistently come from large families (with an average of 5.8 children ) where 80% of the mothers are mothers at home. 73% of the French candidates come from SSPX schools. 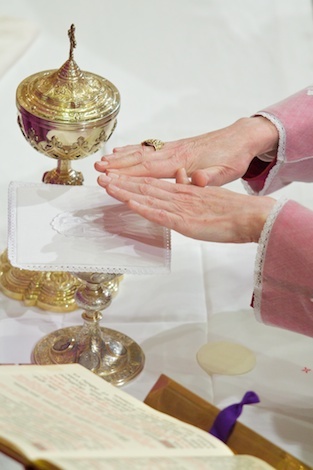 More than 50% of the candidates have received a first calling to the priesthood or religious life before the age of 12 either when serving Mass, helping in the sacristy, or on the day of their First Communion. Many of these seminarians have said that the education received in the family prepared them to make this choice, or they remember being impacted by the good example of a priest or a brother in their surroundings. After a period where the idea of being fully consecrated to God has faded during their teenage years, a second call comes around the age of 19, which eventually leads them to the seminary or brothers novitiate.